Trials is a great and unique sport to take on. Trials has a long history, and you can ride trials just about anywhere. On the street, in the woods, at the park, and even in your back yard. It’s a great base for all of the other cycling disciplines as it teaches you bike control balance and skills. We would recommend taking it up on the side if you’re riding focus is road riding or cross country. 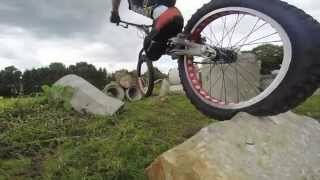 Training Biketrials is ultra-unique, where there is not a perfect routine or system. Core strength, explosive power, flexibility, and endurance, and riding style will cause a rider to train in different ways. Biketrials is all about getting you and your bike up and over obstacles without “dabbing” or putting your feet down. Biketrials obstacles can be just about anything. Cable reels, mud banks, cars, walls, oil drums, logs, rocks, palettes, natural terrain, and just anything. The less amount of times you put your feet down while traversing the obstacles, the better. In the end, the rider with the least amount of “dabs” is the rider with the least amount of points. 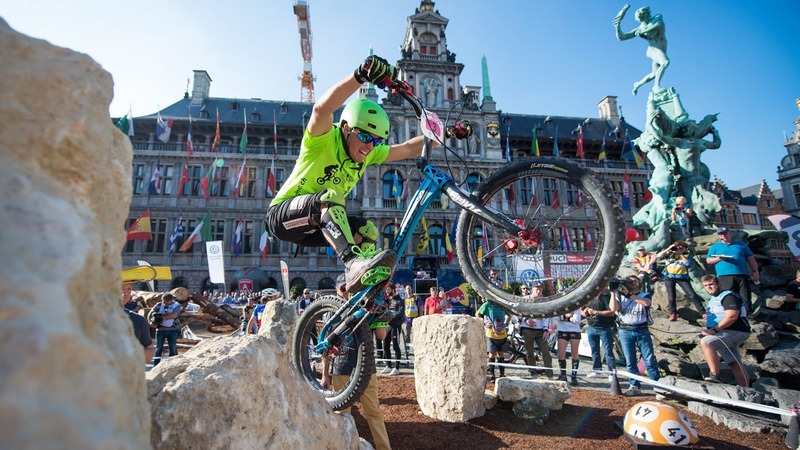 Biketrials typically consists of two types of trials bikes, 20 inch wheeled bikes closely related to BMX, and also 26 inch wheeled bikes closer to a mountain bike. Both styles of Trials bikes are suited to different riders and styles, each offering their own challenges and benefits. After riding trials for awhile, which, takes practice, you’ll notice it will cross over into the other disciplines of riding and change how you ride. Approach and control differences are noticeable, and balance, while traversing through obstacles or along the trail, will become an art. Line selection will become more creative, and new challenges on the trail will reveal themselves like never before.